Air Transat is a major charter airline. They offer direct flights between Halifax and London Gatwick (LGW) in Britain. 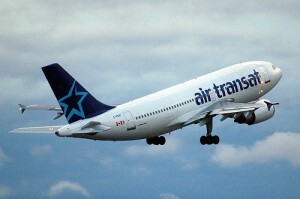 Air Transat also fly to the Carribean. Their destinations include Cayo Coco (CCC) and Varadero (VRA) in Cuba and Puerto Plata (POP) and Punta Cana (PUJ) in the Dominican Republic. You can also get from Halifax to Cancun (CUN) in Mexico with Air Transat.